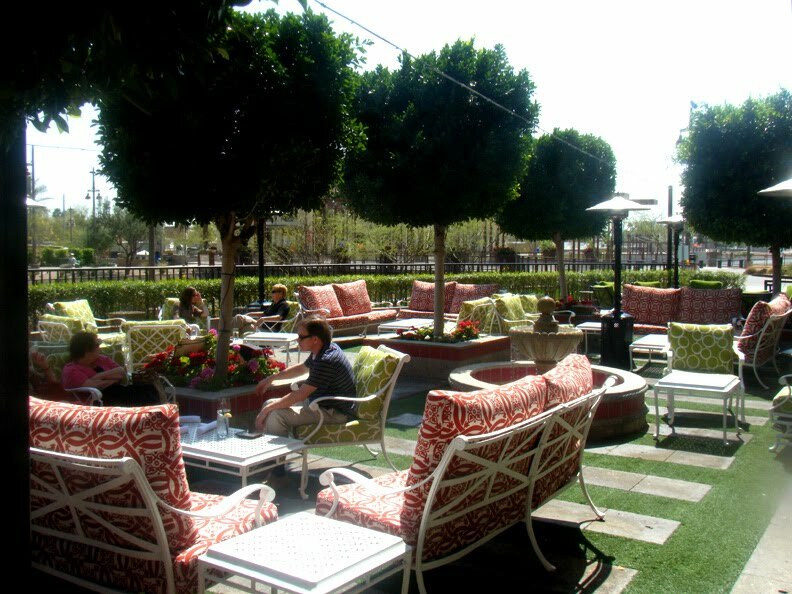 Don't be put off by Olive & Ivy's location at the edge of a mall -- it's got a large, sunny, and highly comfortable patio on the banks of a canal. The emphasis is on wine, but there are some decent cocktails. And while this blog is about the bars not the restaurants, I can't go without mentioning that the food was excellent from start to finish. (In my case this was their standard focaccia bread and pesto, a bruschetta with crescenza cheese and fig preserves, and a chicken curry salad.) Service was efficient and quite friendly. O&I is one of several Fox restaurants in the area, and from my sample of them, these tend to be very good.